Lauren Found Her Mission at M3 and So Can You – M3 Conference Registration Now Open! 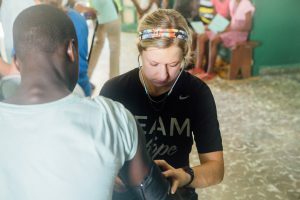 From finding her mission at the 2016 M3 Conference to moving to Haiti to serve with Mission of Hope Haiti, we at M3 are excited to announce that Lauren Raschke, long-term missionary nurse, will be one of our 2019 M3 Conference speakers! Lauren was born and raised in Houston, Texas, and she graduated from the University of Mary-Hardin Baylor with a Bachelor of Science in Nursing. Following graduation, she started her dream job at Children’s Memorial Hermann Hospital and continued there for eight years. In 2014, Lauren went on her first mission trip, and that is when God put missions on her heart. Later in 2015, she went on her first medical mission trip, and this is when God made her aware of how comfortable her life was and how she lacked any need of Him. This realization led her to pray for God to reveal what He wanted of her; she prayed that wherever He wanted her to go, she would go. It was with this open heart and spirit of expectancy that Lauren attended the 2016 M3 Conference. Lauren knew that God would reveal what she was to do next, and God didn’t fail her. God showed up and gave her 100% confirmation that her next step was to commit to long-term missions with Mission of Hope Haiti. Six months later, Lauren had moved out of her apartment, quit her dream job, and said goodbye to her life in Houston to begin her journey of faith. Mission of Hope Haiti (MOHH) exists to bring life transformation to every man, woman, and child in Haiti. They do this by focusing on four key areas: healthy churches, healthy people, a healthy economy, and healthy schools. Through partnerships with local churches and indigenous organizations throughout Haiti, MOHH feeds over 91,000 children daily, impacts over 10,000 students through education, trains over 1,700 farmers, and provides medical care to over 30,000 patients annually. 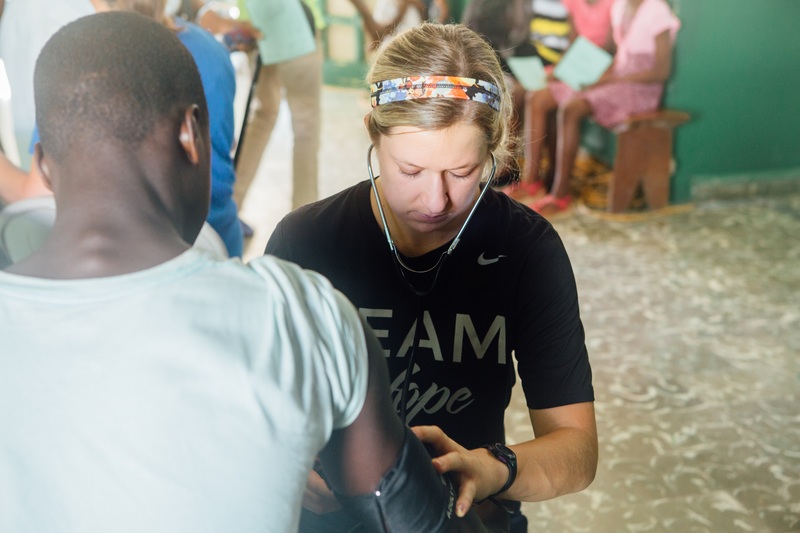 If, like Lauren, you feel called into long-term missions, Mission of Hope Haiti is looking for licensed medical professionals (PA, NP, RN, Paramedic) who are interested in serving for at least one year leading mobile clinic teams in Haiti. For more information or to apply, email medical@mohhaiti.org or call (512) 256-0835. I am curious if you would be in need of a Dental Hygienist. We encourage you to check out these organizations and see where the Lord leads you. We also invite you to our upcoming 2019 M3 Conference to meet with these and other organizations in person. The next conference will be held on Feb. 22-23, 2019, and if you register by December 1st, you can save 25% off your registration with promo code: M32019SPECIAL. Register at http://www.m3missions.com.